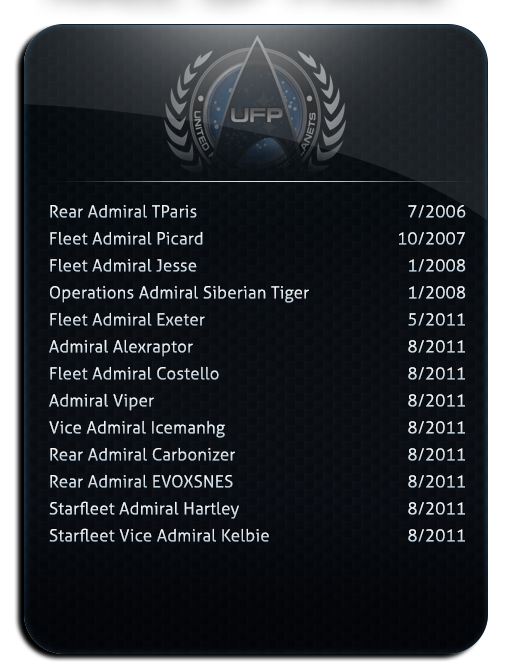 The following names have served Federation Command with unparalleled distinction and professional judgment. 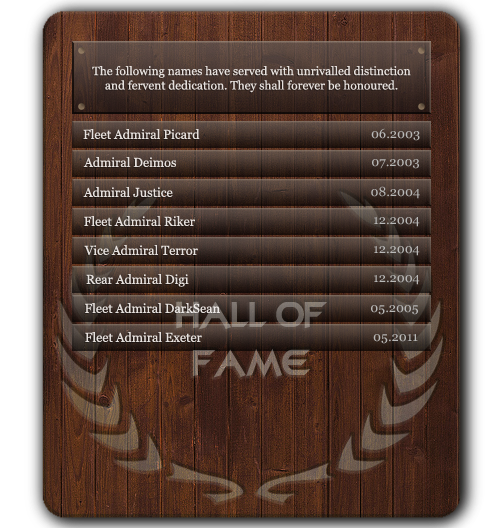 They shall forever be honoured. 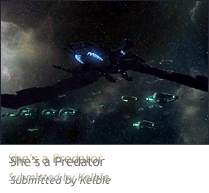 Federation Command existed under the name United Federation of Planets from 2005 to 2011. As such it is our duty and privilege to honour all those who contributed to UFP's excellence. Please see our history page for more information.